INVISIBLEWEAR is a complete line of hair care and styling products that's all about embracing the beauty of imperfection and making chic simple. Olaplex will give you the confidence not to worry about the integrity of your hair. You will see the difference after the first time use. You will notice your hair being softer, shinier, easier to manage with less frizz for weeks. 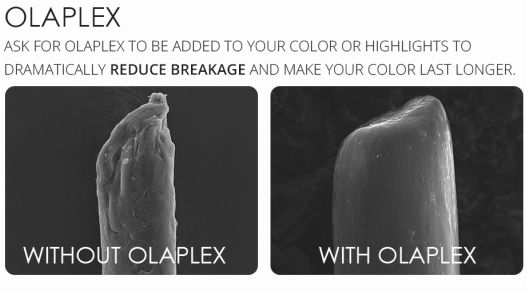 Olaplex is going to make your hair stronger, and healthier. Tea Tree Scalp Care is a preventative system that gently and naturally helps slow down the process of hair thinning, due to breakage. Ideal for men and women, this color-safe daily regimen is infused with the exclusive Regeniplex botanical blend to promote optimal scalp health and encourage healthy, thicker hair. NEURO, precision instruments for professional stylists. Creative vision, powered by cutting-edge technology: that's intelligent styling. Color-treated hair can become dull, faded and damaged over time. Ultimate Color Repair harnesses the reparative power of quinoa to lock in hair color, restore luster, and reverse the signs of damage.